Craig Y Nos Castle is renowned for its Dog Friendly Accommodation in Wales - with our own resident dogs Jack and Sheba, we welcome you to the Castle for its Pet Friendly Dog Owners Accommodation - staying in en suite rooms your dog is always with you. Dining our Patti Bar, means that you and your dog are not excluded from other guests - indeed when you are having your breakfast your pet can enjoy their own breakfast sausage. We dont even charge for your dog - all we ask is that they too are friendly!! With rooms located on the ground floor you can be right near comfort stations with direct access to the Country Park and the local stream and local walks. You can choose any room - but please ask for the most suitable for you and your dog. For more information and to book rooms from as little as £210 for 2 nights on a B & B basis (first night full price then 50% off subsequent nights) can be found here visit our by visiting our Dog Friendly Pages here. 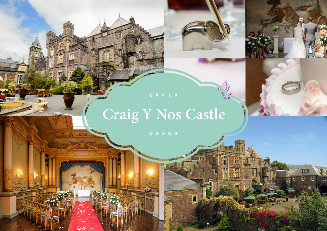 The Castle overlooks Craig-y-Nos Country Park, an area of outstanding natural beauty, in which accompanied dogs are welcomed. For more energetic owners and their pets there are impressive hills with stunning views towering over the castle and numerous well defined paths by which to explore them. Every day Jack & Sheba , the Castle's resident dogs go for a walk and you are welcome to join them. One of Jack and Sheba's other walking friends will be pleased to guide you on some of the local walks. A good walk around the Country Park will certainly allow your dog to run off the lead, whilst you will be able to take in the sights and get some good pictures. Your own dog will love the company and can revel in the crystal clear lakes and rivers which abound in the region. Please bring you pet's sleeping box, bedding, and feeding bowls. Dogs are allowed in all public areas of the castle except our Function Room or Conservatory. "When staying 2 or more nights pay just £50 for each of the lowest priced additional nights in an En Suite, or £75 when staying in a triple room and just £100 extra a night when staying in a Family Room"